Anne originally trained as a Consultant in the USA placing top Executive Assistants throughout San Francisco and California. After returning to the UK she worked for many years in the City running the Executive PA desk of a niche recruitment consultancy. Now a Founding Partner of Leaman Consulting, Anne specialises in top Executive Assistants & Private PA’s for companies, Family Offices, HNW & High Profile individuals. She also covers Senior Office Management & Chief of Staff positions. Discreet & discerning with an international over view and an empathic understanding of different cultures and requirements, she has placed for some of the top bosses in the country as well as household names & UHNW individuals. Emma is a partner at Leaman Consulting and has an in depth background in recruitment within Secretarial, HR and Administration both in the City and West End for over 11 years. Astute and highly professional Emma quickly grasps what is required by both candidate and client and makes faultless matches across a wide sector of industries from owner run businesses to large corporates and PLC’s. Engaging and very approachable Emma is your first port of call with any secretarial or administrative roles you may need assistance with from CEO level Personal Assistant, Team Secretary & HR to Front of House and Administration. Catherine is a highly professional and personable consultant who has an intuitive edge when it comes to understanding the needs of both the client and candidate. 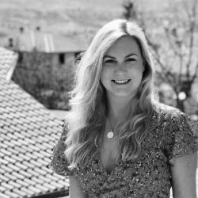 With an entrepreneurial spirit and experience working with High Profile and UHNW individuals, she specialises in working with Family Offices and Entrepreneurs and places Private PA's as well as high-level Executive and Team Assistants. 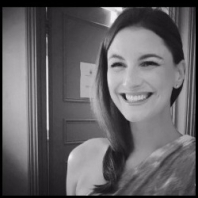 With a keen interest in the entertainment industry, as well as technology, Catherine holds a Masters Degree in Television and Current Affairs Journalism and has worked with top organisations both in the UK and Internationally. Her discrete, dedicated and down to earth approach allows her to carefully match unique individuals and opportunities. Celia runs the Private Household/Nannies desk for Leaman Consulting. A consummate professional and a highly trained individual within this area Celia has a degree in Primary Education and an in-depth understanding of the importance of the quality of candidate needed to work within a personal residence. Celia has a caring and professional approach and will visit the residence when required to ascertain the right fit for you or your Principal, whether it be an experienced Housekeeper, Estate/House Manager, Butler, Driver, Chef or highly qualified Nanny, Nanny/PA. Celia has often worked on adhoc roles and specifications - so do not hesitate to run anything by her! Lindsay graduated from the University of Stirling in 2018 with a BSc Hons in Psychology. 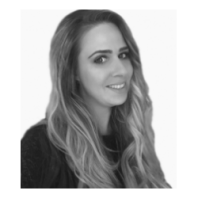 Before joining Leaman Consulting in January 2019, Lindsay worked in a boutique recruitment firm based in Jersey, Channel Islands, providing a range of accounting and advisory services to a broad spectrum of clients. With focused ambition, Lindsay now works alongside our consultants to ensure a stand-out experience for both candidate and client.